As a special feature in this report we examine the level of gross profit or loss based on residential dwellings that sold during the March quarter of 2012. The results are shown in the graphs below across all sales and also divided between homes that were purchased pre and post GFC (before or after January 1, 2008). 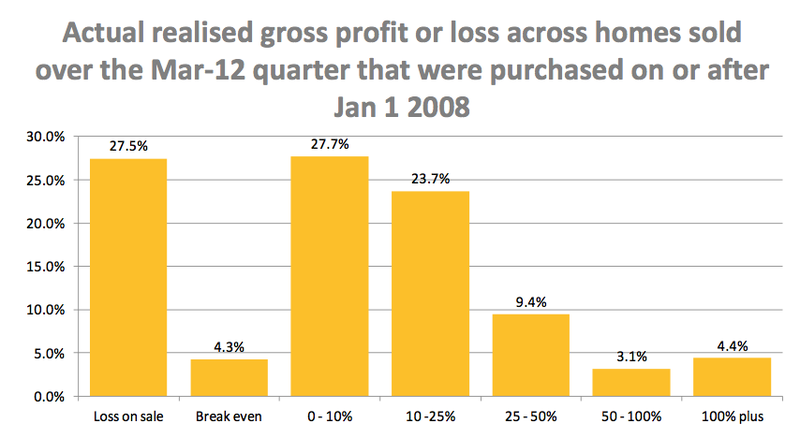 Of those owners that had purchased their home prior to the financial crisis (for the purposes of analysis we have used the date of January 1, 2008), a lower 7.2 percent had sold their home at a loss. A much greater 42.3 percent of these vendors sold their home at price which was at least double the previous purchase price. Capital gains were much weaker for those vendors who had purchased their home in 2008 or thereafter. 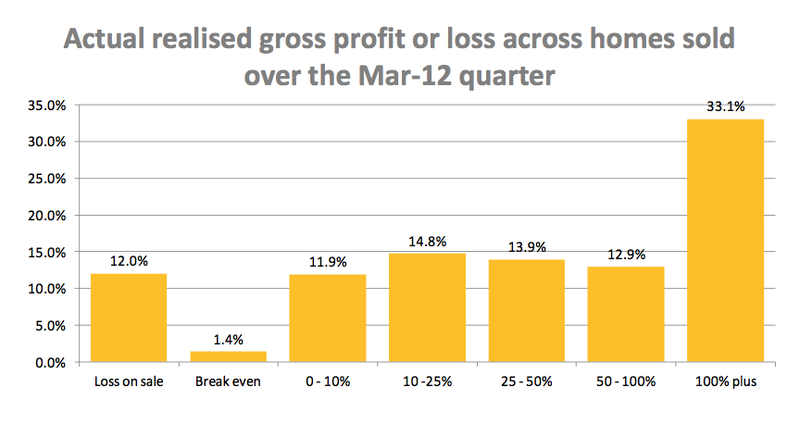 A larger proportion of these vendors recorded a loss on their sale, with 27.5 percent of dwellings sold recording a sale price lower than the initial purchase price. On the other hand, only 7.5 percent recorded a capital gain of more than 50 percent compared to the original purchase price. 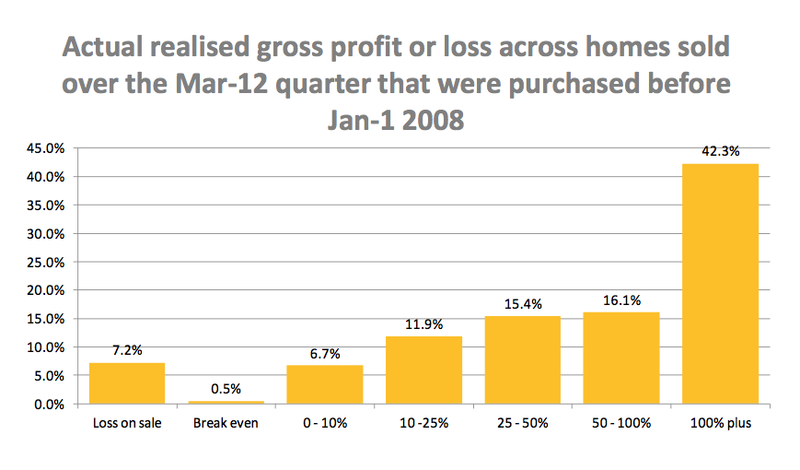 These results reflect the significantly weaker housing market conditions since 2008 and the benefits of a long term hold when it comes to turning a profit on residential property.